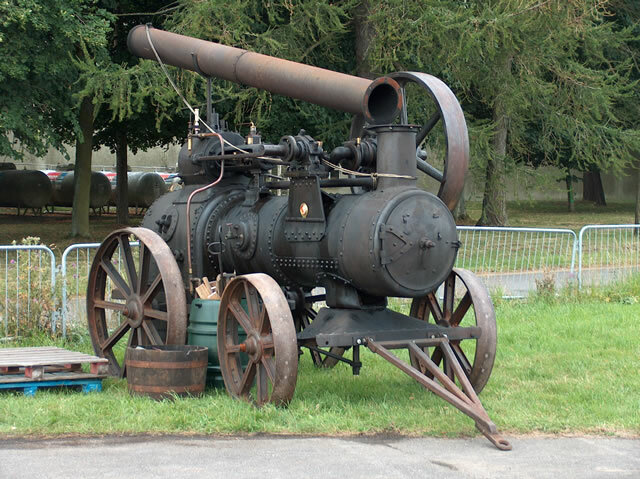 Steam rollers were a mainstay of steam production from their invention in the 1860's right up until the Second World War, some were even produced for overseas markets after this date. 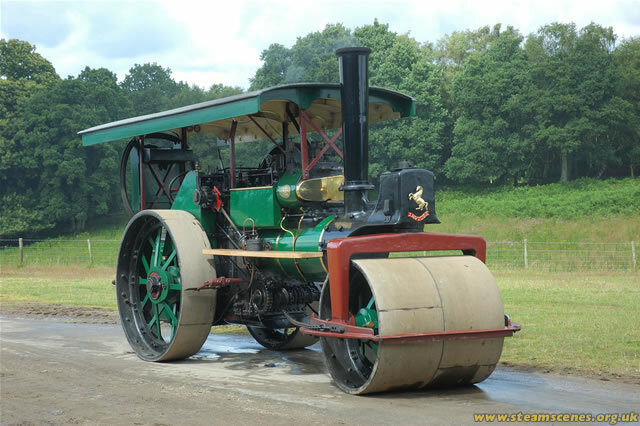 Road roller production was dominated by Aveling & Porter of Strood in Kent. Their production was more than all the other makers combined. Other producers included Burrell, Fowler and Wallis & Steevens. Rollers could range from very small engines of around 5 tons used for rolling pavements to large 15 ton plus engines used in the North of England. The job of the road roller was to roll crushed stone into a base which formed roads of the day, these roads were more primitive than what we are used to today. Later special road rollers were developed to roll asphalt surfaces without leaving impressions which older rollers could not do. Road locomotives were larger versions of general purpose engine built with the sole purpose of hauling large, indivisible loads. They sometimes worked in pairs, and occasionally 3 or more engines were need to pull exceptionally large items. 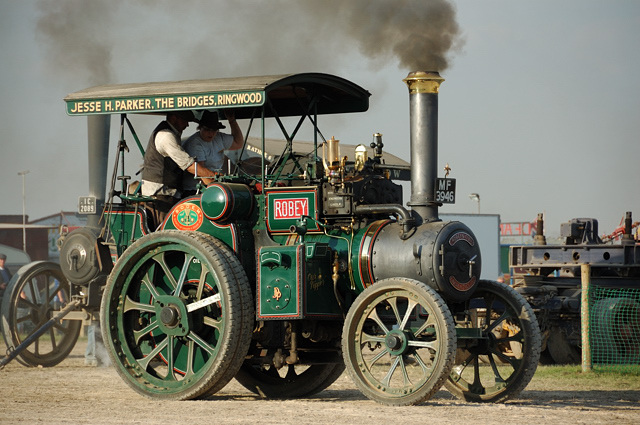 The main manufacturers of road locomotives were Fowler, McLaren & Burrell, although most of the other big makers produced smaller numbers of road engines at some point. They were produced from the end of the 1800's right up until the end of steam production in the 1930's. Many new road engines were purchased by the military for use in various conflicts of the day. When these engines were sold off as military surplus they were bought by haulage contractors and put to work across various UK cities, Manchester, Liverpool, London and Glasgow in particular. More portable engines were built than all other types of engine combined. Construction was simple and the basic design remained unchanged for almost 100 years between their invention in the 1850's up until the end of production in the years after the Second World War. A portable engine cannot move itself and was normally moved from job to job by horses. 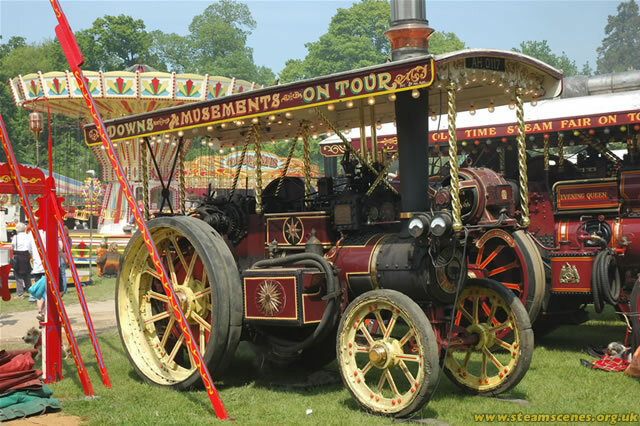 They carried out tasks similar to general purpose engines, threshing, wood sawing, stone crushing, pumping water and even generating electricity. Sizes ranged from very small engines weighing only a ton to enormous engines weighing 20 tons or more. Lincoln and Ipswich based builders dominated, vast numbers were produced for agricultural outside of the UK, hundreds of which survive to this day. 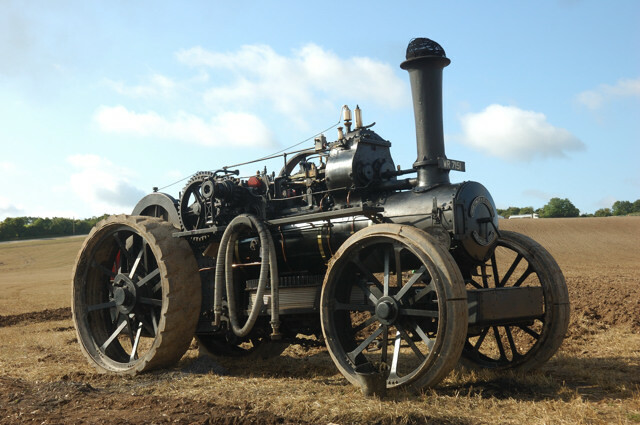 Cable ploughing engines were developed by John Fowler in the 1850's, Fowler went on to dominated ploughing engine production with over 95% English ploughing engines built by this one company. 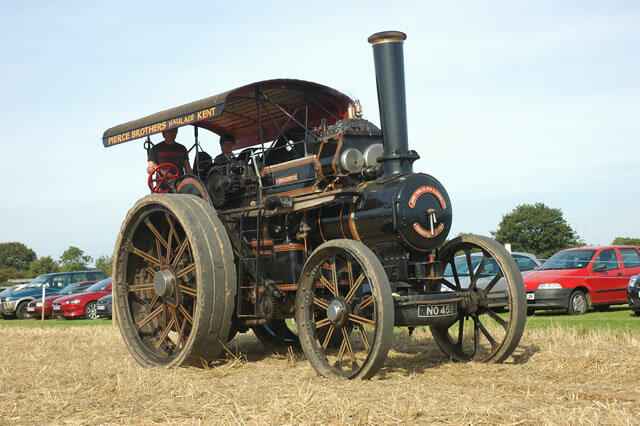 Cable engines worked as a pair using rotating drums of wire rope under their boiler to pull and implement to and fro between them in a field. Direct ploughing was rarely used in the UK but was more common in North and South America. 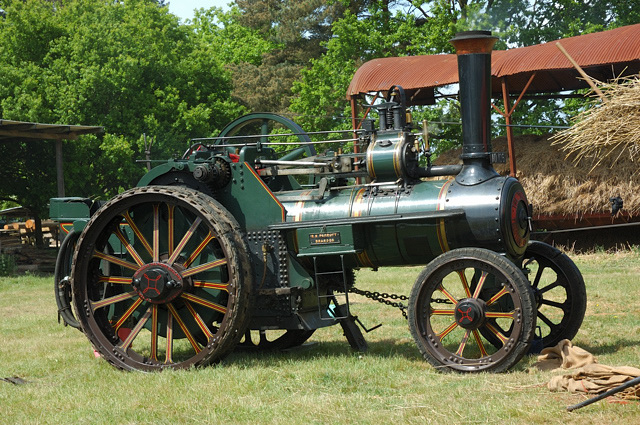 Ploughing engine were the largest type engines produced in quantity, weighing somewhere between 15 and 30 tons. Ploughing engine production peaked before the start of the 20th century but enjoyed something of a revival with Government back food production programs during the First World War and a good number of these engines have survived into preservation. 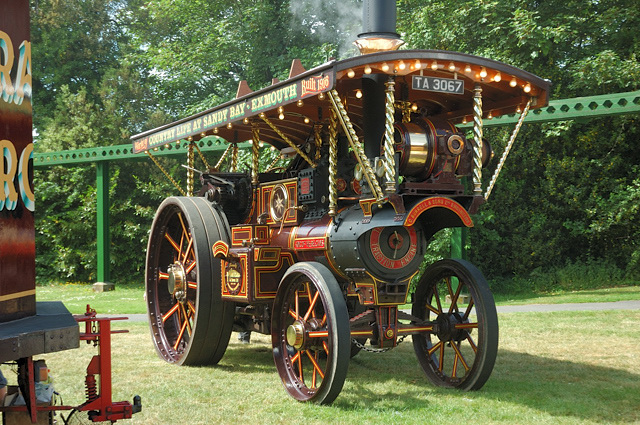 Steam wagons were produced in vast numbers from the late Victorian period up until the Second World War. They were commonly available in two forms, undertype with the cylinders mounted under the bodywork and overtype with the cylinders mounted on top of the boiler in a more conventional way. Makers had their preferred arrangement but generally experimented with both ways of getting the job done. 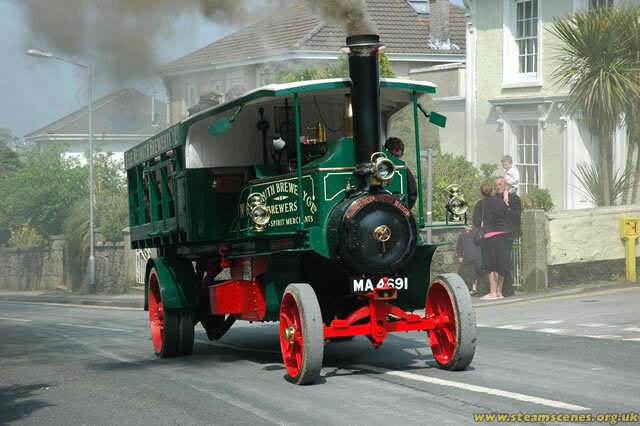 Steam wagons were faster on the road than standard traction engines and by the 1930's were capable of in-excess of 50mph. Changes to legislation in favour of internal combustion powered lorries made them expensive to run and the fell out of favour during the 1930's. It was not unusual however to see well worn steam lorries working as late the 1950's.